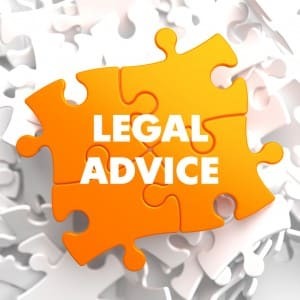 Legal Help For An Accident Or Injury - When a person gets hurt through an accident or injury, it is only natural to feel overwhelmed, uncertain, stressed and angry about the situation. Luckily, when someone else is negligible for your injuries, pursuing a personal injury claim with the help of an experienced attorney is your right under California's personal injury law. No matter the severity of your injury, you have the legal right to pursue a payout to help cover damages you incurred as a result of an accident. If you or a loved one has become injured in an accident due to another person's negligence, it is a good idea to seek the help of a knowledgeable personal injury attorney to take on your claim. A good attorney will work quickly to evaluate your case, ensuring that your legal rights are being protected under California state laws. 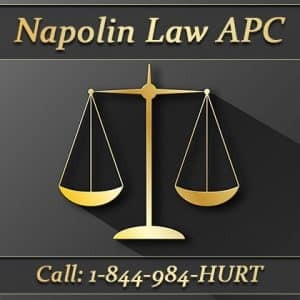 With a free initial consultation, personal injury attorney Alexander D. Napolin and his team of experts can explain to you what to expect through each step of the legal process. From the beginning research stages of the Legal Help For An Accident Or Injury case to collecting important records and negotiating with insurance companies or opposing counsel, working closely with a top personal injury lawyer greatly increases your chances of reaching a settlement. Although they may have some similarities, every personal injury claim is different and will need an expert approach in order to receive the maximum payout from the responsible party or their insurer. Unless you have previously studied personal injury law, it is unlikely that you are experienced enough to take on your own claim and present it in court. With the help of an experienced personal injury lawyer, accident victims can rest easy knowing that their lawyer is seeking the best result possible for their claim. This means that your attorney will fight on your behalf to reach a resolution that gets you everything you are entitled to under California state law. Of course it is perfectly legal for accident victims to represent themselves in a personal injury claim but without the knowledge, experience and negotiating skills of an expert lawyer, many victims settle too early or loose their claims all together. For these reasons alone, it pays to hire a personal injury lawyer with experience and expert knowledge of the legal process to represent your personal injury claim. When you have injuries that require a long-term care plan or surgery or something more severe like a head or brain injury. Nothing is more stressful and overwhelming than trying to deal with insurance companies on your own after an accident. Luckily, if you have been injured in southern California, there is no need to go through the personal injury claims process on your own. If you or someone you know has been injured in an accident it is important to act now to start building your case with an experienced and knowledgeable personal injury attorney. Working with an attorney who specializes in personal injury law can greatly increase your chances of obtaining the maximum payout from insurance companies and those responsible for your injuries. For more information on personal injury law and to get a free initial Legal Help For An Accident Or Injury consultation, visit the Alexander D. Napolin Law Firm online today!